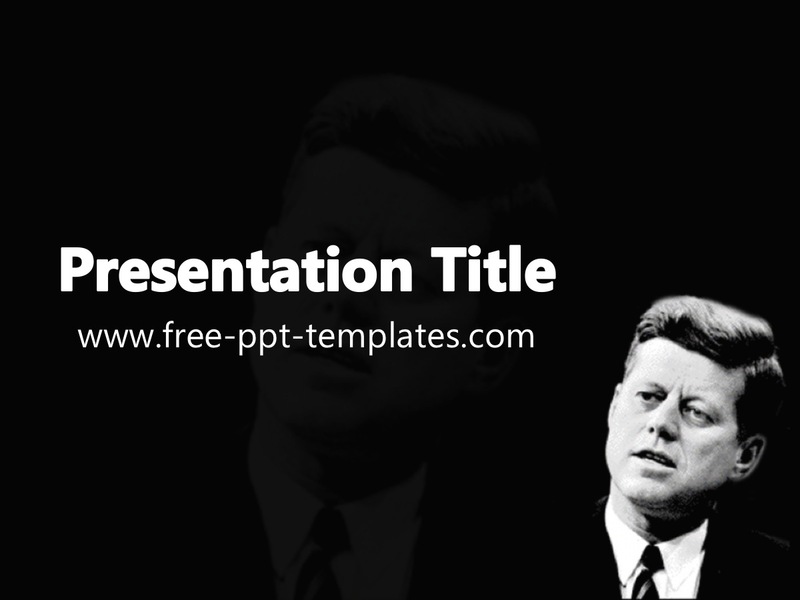 TEMPLATE DESCRIPTION: John Fitzgerald Kennedy PowerPoint Template is a black template with appropriate background image which you can use to make an elegant and professional PPT presentation. This FREE PowerPoint template is perfect for presentations about 35th President of the United States. Find more similar templates here: United States of America.